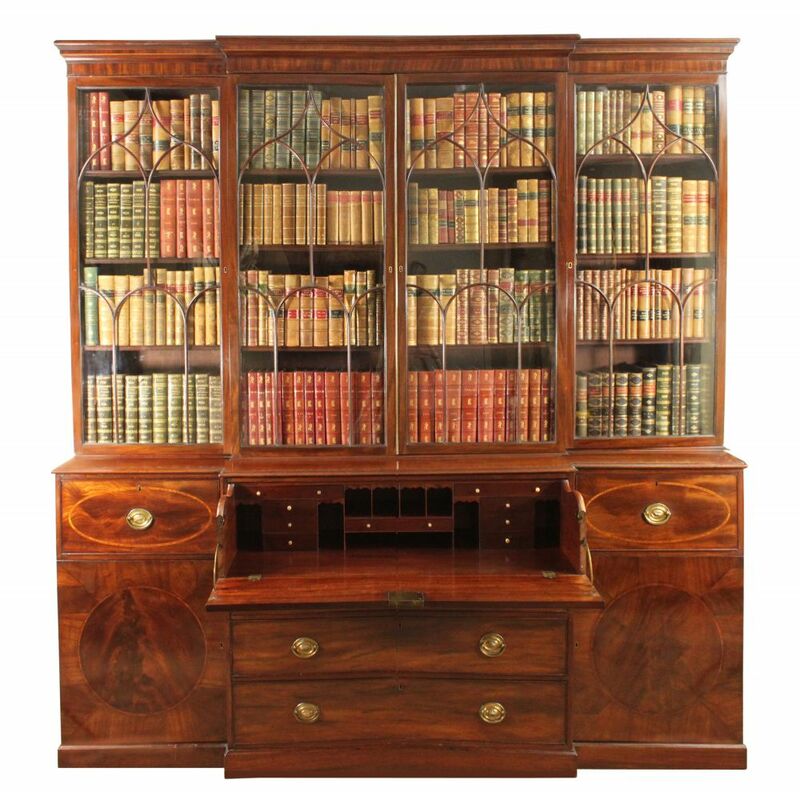 A fine George III Sheraton period mahogany breakfront bookcase with a well fitted secretaire drawer; arched glazing bars complete with the majority of the original glass. The base with attractive oval inlaid drawers and circles in the doors. Original brasses, Bramah lock on the secretaire drawer; all locks except the second drawer down fitted with keys. Dismantles into 9 sections.